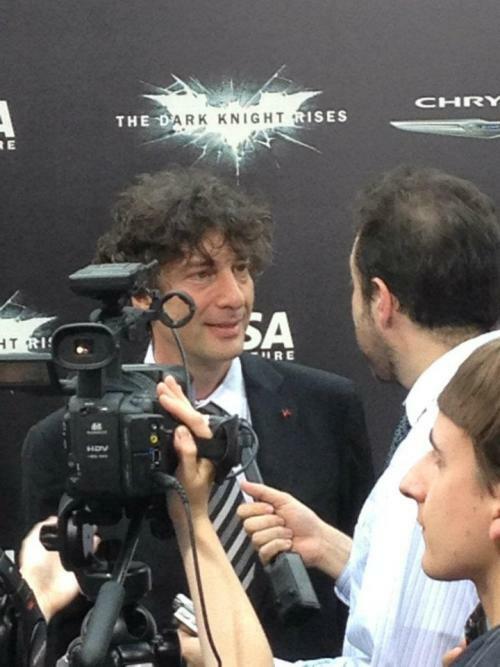 Neil Gaiman's Journal: Post-premiere thoughts. Also a grave box. Post-premiere thoughts. Also a grave box. So, as a super famous person, do you get random invites to these kinds of things? (spectacular movie premiers) or is this a scenario of 'I would like to see that' and your 'people' take care of such things? I’ve gone to six premieres, so far (for two of them I went to the US and the UK premiere, though, which makes eight, I suppose). Of those, four were for films I’d written or that were based on books of mine, one was last night’s Dark Knight Rises (Diane Nelson, the DC Entertainment head honcho, had asked me to go with her, and I thought it would be fun, and it was) and the other was The Hunger Games, which was a request from my daughter Maddy, and my people (I don't really have people, but my amazing agent at CAA, Jon Levin) pulled in favours all over Hollywood to make it happen. So the things I enjoyed about last night’s premiere were things like chatting to Neal Adams (it’s amazing how much of Neal’s work — and even more so, Dennis O’Neil’s — the film uses), catching up with Grant Morrison (who is one of my favourite people in the world, and I do not see him nearly enough), and running into David Goyer and learning what’s happening with the still semi-secret thing I think of as Our Film (well, until the rest of the world discovers what it is actually called, and the cat is out of the bag). And I liked spending some real time with Diane Nelson. And the very best thing of all about the premiere was the email from Karen Berger about the first few pages of Sandman: The New Untitled Thing I received moments before the film started. She said it felt like coming home. There was also some amazing miniature stop-motion detritus in the soil. I love that Laika sent me a box. His name (according to the rolled-up scroll he was holding, and the note attached to his foot) is Eben Hardwick -- my own glorious zombie puritan hangman. 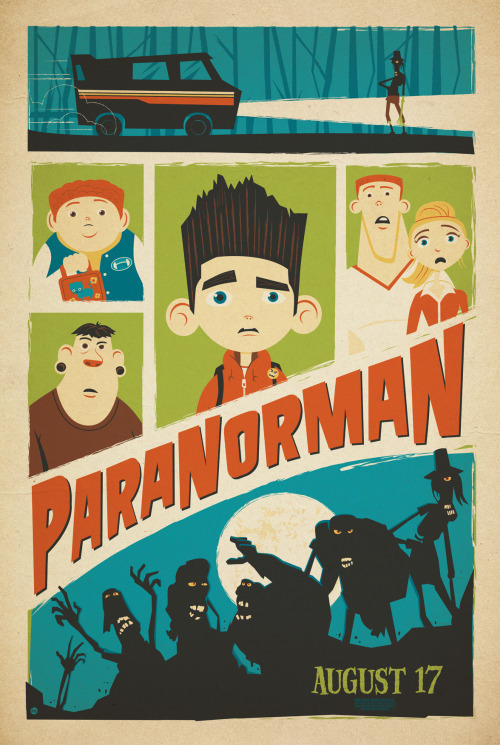 I still feel part of the Laika family, after Coraline, and I am really looking forward to Paranorman. Finally, when you get a chance, check out http://www.loa.org/sciencefiction/ - the Library of the Americas is doing American Science Fiction: Classic Novels of the 1950s, edited by Gary K Wolfe. I wrote an original essay about Fritz Leiber's The Big Time. Connie Willis wrote about Heinlein's Double Star. William Gibson wrote about Alfred Bester's The Stars my Destination... and, look Tim Powers and Nicola Griffith and Kit Reed and Peter Straub and Michael Dirda and James Morrow, all of us writing about 50s SF novels we loved.